Seth Berger is coming out of retirement to lead a new company called Living Simple — and his partner is a basketball player. Jan. 25, 2016, 11:32 a.m.
Seth Berger started, succeeded and sold his Philly start-up before the city’s scene really existed. He’s a Wharton grad who launched a product with nationwide name recognition, and cashed out before he even turned 35. That achievement? Founding AND1. You remember AND1, right? It made shoes, clothes and video mixtapes and promoted street ballers like Rafer “Skip to My Lou” Alston. Berger and two of his friends created the company in 1993 and cashed out a dozen years later, after AND1 had risen to the No. 2 basketball shoe seller in the United States. Only Nike remained ahead. Now Berger is wading back into the startup waters. He’s coming out of retirement to lead a new company called Living Simple. For now, it is focusing on cell phones, and its first product is a line of protective cases that double as a wallet, allowing for more storage and protection than similar products on the market. Like almost everything in his life since he founded AND1 in 1993, this company has its roots in basketball. Berger’s new partner is 26-year-old Joshua Harris, like him a New York City point guard who made his way down to the Philadelphia area and crossed paths with Berger. “It was a basketball connection,” Harris said. The way Berger tells it, nobody would have ever pegged him as a businessman. Originally from New York City, he enrolled at Penn in the mid-80s. His goal was to end up in politics. Berger’s first job after college was working as a legislative director for congressman Harold Ford. He was planning on attending graduate school for public policy and running for office someday. Berger ended up at Wharton instead, first considering being an investment banker and then deciding to try his own business. His idea for something called the AND1 Database Club earned him what he calls his only good grade. It was a listing of recreational basketball players that he planned to sell to shoe and apparel companies. Berger and friends Jay Gilbert and Tom Austin took the idea to a major trade show in Chicago. The database may have earned a good grade from Wharton, but it failed in front of the people who mattered. While there, they noticed something: None of the established brands were marketing to young basketball players, the ballers who hone their craft on playgrounds and in gyms and always think they’re the best player on the court. So AND1 pivoted, with the idea of starting an apparel line that spoke to this audience. A year later AND1 had revenues of $1.7 million. They rose to $5.9 million then $14 million then $42 million to $70 million by year five. 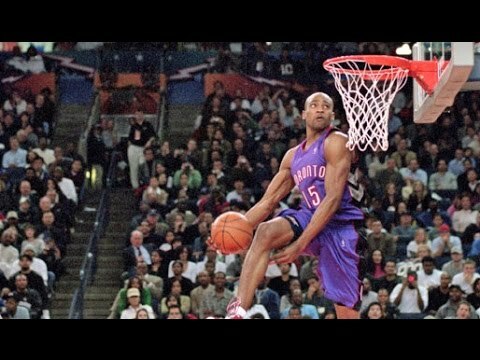 The company started with basketball star Larry Johnson wearing their shorts; by the late ’90s, they’d signed Stephon Marbury and Latrell Sprewell, not to mention Vince Carter, who wore the AND1 Tai Chi as he completed one of the most famous dunks in NBA history at the 2000 Slam Dunk contest. AND1 stayed in the Philadelphia-area throughout their ownership. They originally stuck around because of the lower cost of living. They sold AND1 in 2005 after its annual revenues had dropped from a peak of about $250M. Berger, now 47, wanted to spend more time with his three sons as they grew up. At the time they were 6, 3, and 1 years old. He got involved with two companies, including one that develops and markets gaming for casinos that went public, but they were temporary jobs. Instead he turned his attention back to basketball. Berger became an assistant and later the head coach of Westtown School, a Quaker private school in West Chester. A little over 10 years ago, Harris enrolled at Westtown as a boarding student. School officials notified him when he visited that they’d have a perfect host family for him. There was a guy who had happened to go to the same elementary and middle school as him and loved basketball. It turned out to be Berger. Harris first met Berger at Westtown School. The Bergers became Harris’ family away from home, and Berger coached him in basketball, becoming head coach Harris’ senior year. Harris went to Franklin and Marshall for college. After graduation, he moved back to the NYC-area for a job, commuting from Yonkers to lower Manhattan. He always saw fellow commuters rifling through bags and wallets trying to find ID cards, credit cards or cash. It dawned on him that people could use a way to consolidate the items they needed to carry. Harris saw the market for such a product as lacking. There are phone case pouches that attach to the backs of phones but usually only have enough room for one or two cards. Harris wanted to make something that would allow someone to carry cash, a couple of credit or debit cards, a driver’s license and a work ID — and that would also conceal the contents. He pitched the idea to Berger. They partnered and have since come up with three different designs for phone cases. Living Simple recently debuted on Amazon and on its own website. The next goal is to get the cases in retail. Berger has dozens of connections from his previous job.